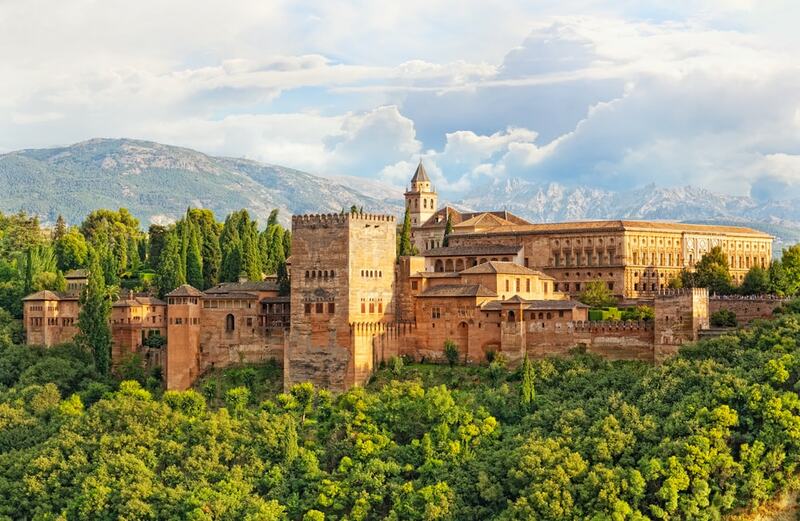 Originally constructed for military use, the Alhambra was all at once more than just a beautiful and immense building it’s has three purposes; an “alcazaba” (fortress), an “alcazar” (palace) and a small “medina” (city). Its triple purposes explains its many unique and distinctive features with the name Alhambra coming from Arabic and meaning red or crimson castle, so called, allegedly, because the construction of the Alhambra fortress was done by torchlight. A wonderfully place for all the family with tickets starting at 14€. This place is found inside the Alhambra ground and is well worth a visit. A beautiful promenade takes the visitor to the “Patio de la Acequia” which is the best know area and what is known as the heart and soul of the palace grounds A wander around these gardens is a great way to spend an hour or two just enjoying nature and history too. If you head up to the north portico you’ll find the impressive Patio de los Cipreses, which has a pool in the middle. 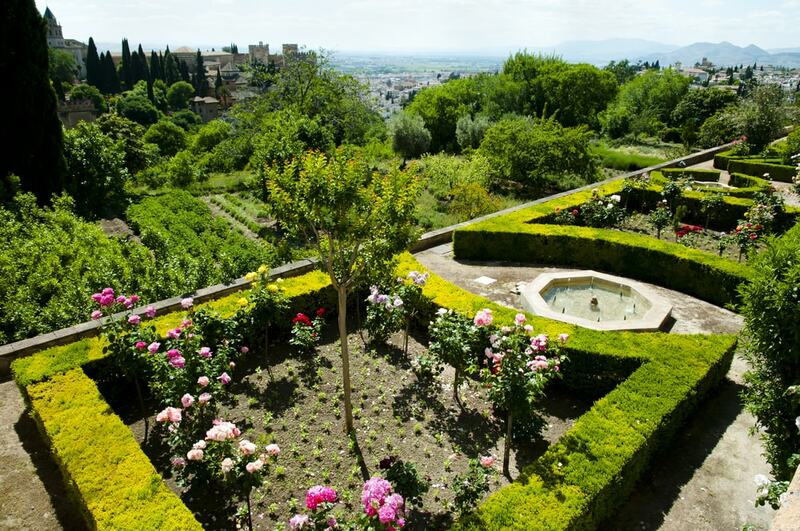 With a lovely fountain dating from the 16th century the gardens were originally olive groves. Federico Garcia Lorca, Spain´s most famous 20th-century writer who was killed for his political opinions and sexual orientation in 1936 – just before the start of the Civil War. He was banned under Franco and after Franco died; his legacy was finally acknowledged by his home city. You can visit the Lorca family summer house in Granada for a look back to unsettled times in Spain. El Albaicin is the old Moorish quarter of the city that is made oup of little streets and alley ways, all boasting lots of small shops selling anything from crafts to clothes. Facing the Alhanmbra the Albaicin in a steep climb to the top for some but well worth it as the view of the Alhambra from the Church of San Nicolas is impressive indeed. The moors first settled in the area in the 11th century and plenty of history remains from that time. Covering a huge 70km² and split into two main buildings the park is fascinating for young and old as it takes you on a journey through our own body, our mind and our world – with help for foreigners with English explanations. Just a 10 minute walk, the park is one of the best places to take the kids in Granada for some educational fun! Dating back to the 11th century the Arab Baths are one of the most important cultural, historic and architectural places in Granada, symbolising, as they do, the religious chaos of the time. Water was a symbol of purity for the Muslims so the baths were built by the Muslims around the city but most were later destroyed by the Christians. A wonderful glance at the life of people in those times. Not cheap at 60€ for 90 minutes but an experience not to be missed if possible! Following the Moorish period charcoal vendors brought their goods into the town from the forests to be sold in its terrace and the Corral de Carbon became the trading centre for the area. It is one of Granada´s oldest and best preserved monuments and has a double-arched gate, a flag stoned courtyard and a central well. Once the Christians came the pace was used as a theatre. Take a look it’s easy to picture this place full of traders of theatre goers. 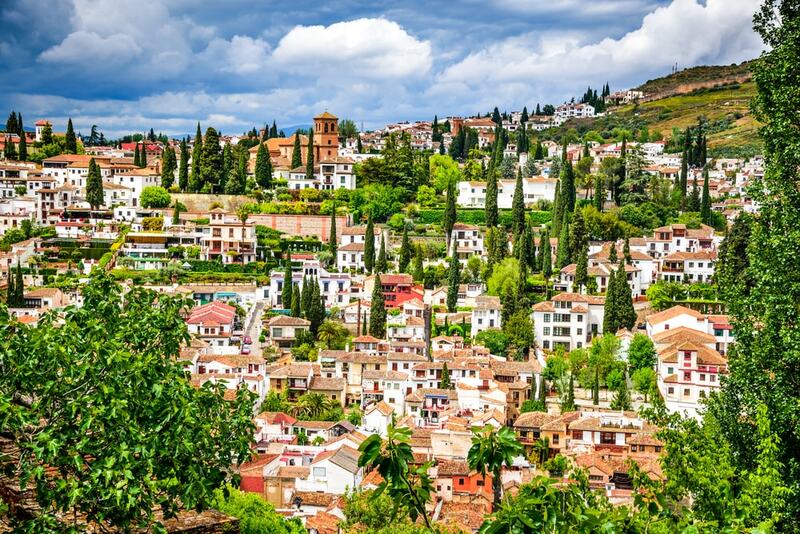 ¿Do you like theses things to do in Granada?